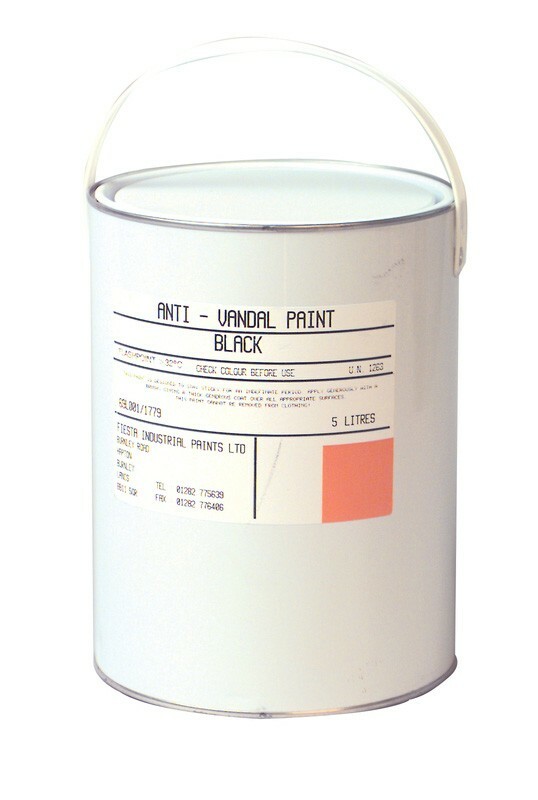 Anti Climb Vandal Paint is designed to deter intruders and vandals from entering private property or climbing walls or onto roof tops. The paint never dries, which makes it difficult to climb and also very difficult to remove from hands and clothing. Thick black paint, which never dries. Difficult for vandals and intruders to remove from hands and clothes. One 5ltr container covers approximately 2 sq. metres. How To Use: Stir well before use. Surfaces must be clean, dry and dust and dirt free. Remove any loose or defective paint. Apply the paint by using either a brush or a roller, applying evenly and avoid over spreading. For exterior use only. After use ensure lid is replaced firmly and container is stored in an upright position. Clean all equipment after use with white spirit to remove excess paint. Please Note: It is a lawful requirement that users erect a warning sign to indicate anti-vandal paint is in use.